Be the Solution. Help End Homelessness! 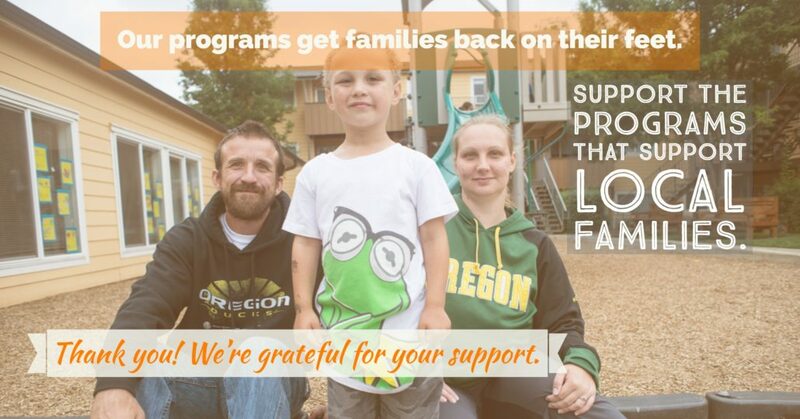 Our life changing work with families in East Multnomah County is fueled by generous support from community members like you. Together, we can help local families get back on their feet. We invite you to give once or monthly, and we gladly accept gifts in honor of a beloved family or friend (simply write "in honor of____" in the comment field of the donation form below). Prefer to mail a check? Go ahead! Just send it to: Human Solutions, 12350 SE Powell Blvd., Portland, OR 97236.